Set against the backdrop of Everglades National Park, the Herman Lucerne Memorial Backcountry Fishing Championship is to hold its 10th annual event Aug. 26-28 in Islamorada. Named after the man known affectionately as Mr. Everglades, the event challenges anglers who seek the hard-to-reach yet fruitful fishing areas that Lucerne favored. He spent nearly 40 years exploring the backcountry's labyrinth of canals, water trails and mangrove mazes. Under the tournament's distinctive format, anglers vie for seven different species: black drum, bonefish, redfish, snook, snapper, tarpon and trout. To be awarded the overall grand championship, the individual or team needs to catch at least four of the seven eligible species. 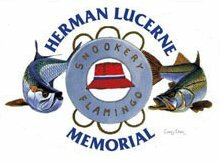 Our event is truly the most unique and challenging fishing tournament in the Keys with seven species to be caught, but anglers of all skill levels are welcome, said Dr. Lloyd Wruble, president of the Herman Lucerne Memorial. Not only will their skills be tested to the limit, but they will have great fun and also enjoy the beauty of the Everglades. Kickoff and registration for all anglers is set for 5 p.m. Friday, Aug. 26, at World Wide Sportsman, mile marker 81.5 bayside. Saturday and Sunday are fishing days, and anglers must check in at either World Wide Sportsman or Dons Bait & Tackle in Homestead, Fla. An awards presentation is set for Sunday evening at World Wide Sportsman. Appetizers and cocktails are to begin at 6 p.m., followed by a 7:30 p.m. buffet dinner and awards. More than 20 prizes are to be awarded in general, artificial and fly divisions.Early registration fees, which must be received by July 15, are $350 per adult angler, $300 per young adult angler age 17 to 25 and $225 per junior angler age 16 or younger. After July 15, registration fees increase by $50 per entrant. Social tickets are additional.For more information, visit www.hermanlucerne.com.